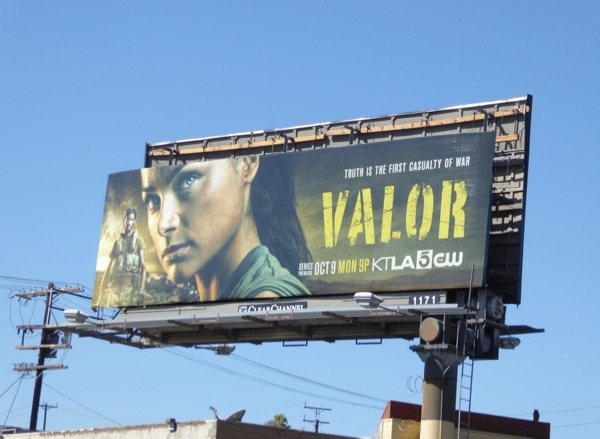 Another day here at Daily Billboard, and another military-themed drama heading to the small screen this new TV season, in this instance The CW's Valor. 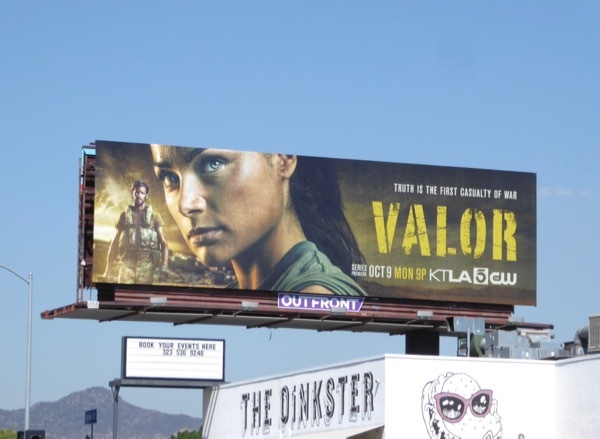 On a network already filled with super-powered heroes, in this show the patriots are more down-to-earth as Christina Ochoa plays a female special-ops helicopter pilot in a male-dominated world. 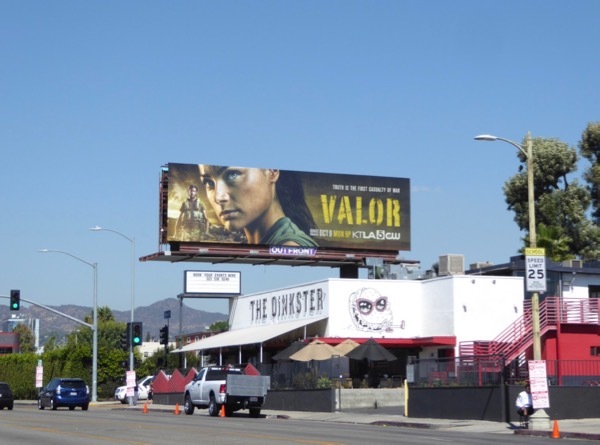 These series launch billboards were spied along Sunset Boulevard, Pico Boulevard and Vine Street from September 22 to September 27, 2017. 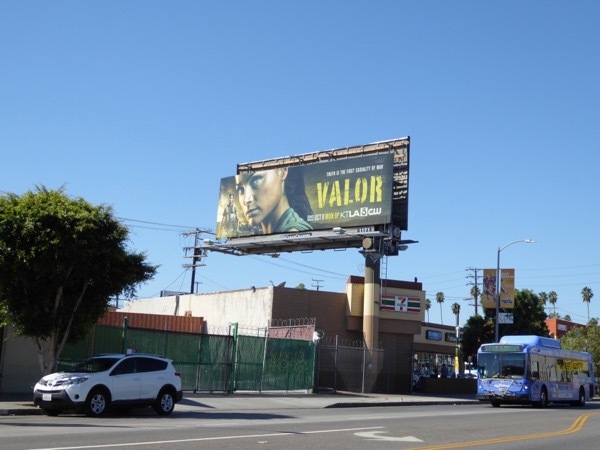 Be sure to compare this ad creative to the other military-themed dramas making their debut this fall, including these SEAL Team billboards and these billboards for The Brave. 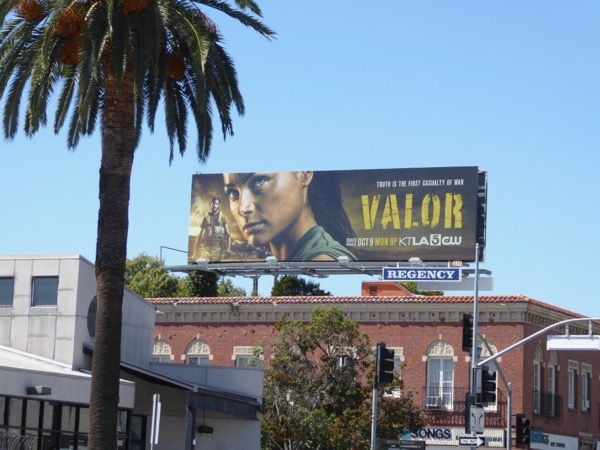 Only time will tell if this new series will hit the target, or whether it'll be an early casualty of fall season cancellations.